Known for clean plug and play machines with great service! Over 20 years in the business! CLICK ON PICTURES FOR MORE GAME INFORMATION! 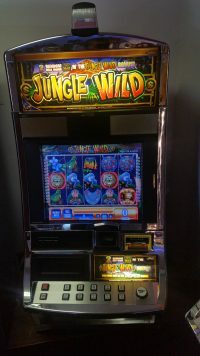 High top cabinet with 22″ Top LCD over 22″ Translucent LCD Touch screen with 3 back lit reels. Accepts all bills with easy pay programmable thermal ticket printer. Two games in one. Dublin Diamonds with Mermaid Maids Gold 5 Random Bonuses. 15 Line, Multi-denominational with on screen volume. CLICK ON PICTURES FOR BONUS INFORMATION. Shipping specials with $200 off any second machine purchase. Call to order or any questions. Site content © 2015 Gambler's Paradise, All Rights Reserved.